Today, I’m sharing my tenth author Q&A, featuring Kody Keplinger! Kody is the author of several YA novels, including The DUFF and Lying Out Loud. Kody Keplinger: To write as often as you can because the more you write, the better you get. J: Did you have any specific inspiration for any of your books? KK: Yes. A Midsummer’s Nightmare was actually inspired by the actress Willa Holland. I created Whitley after seeing her on TV. Shut Out was inspired by a retelling of a Greek play called Lysistrata that I read in college. J: Which book was the hardest to write? Easiest? KK: Shut Out was the hardest. The DUFF was the easiest. I’m not really sure why, honestly. I think I had a hrder time getting into Lissa’s head. J: Which one of your characters is most like you? KK: Hmm. That’s tough. I’d like to think Casey in The DUFF. J: Which character’s POV has been the easiest to get into? KK: I wrote a short story from Casey’s POV in Secrets & Lies. It was the easiest and most fun. J: Which YA protagonist (from any series) do you think would get along best with one of your main characters? KK: I think Sonny from my new book, Lying Out Loud, would get along really well with Rose from Vampire Academy. J: Which one of your covers is your favorite? KK: A Midsummer’s Nightmare. I love both the US and the UK covers. A lot. J: Favorite memory from The DUFF set? J: What was your favorite part in The DUFF movie? KK: The Think Rock scene. J: What’s next? Are you working on anything right now? 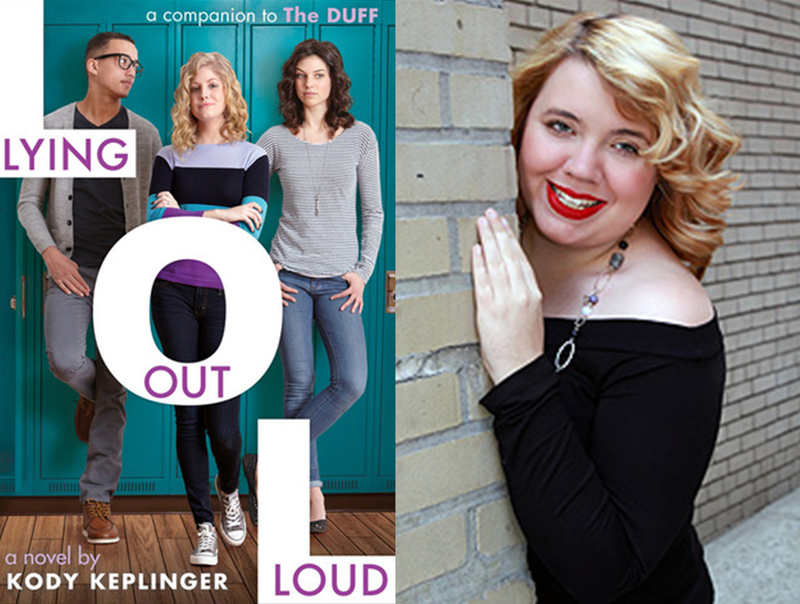 KK: My next book ,Lying Out Loud, came out in the US in April and in the UK in July! Thank you for answering my questions during the Twitter chat, Kody! Be sure to check out Lying Out Loud in stores now!